"998S very rare. Bought from new in stunning condition and lovingly cherished. Carbon Termis, 50mm pipes and ECU. Set up as Mono with Biposto seat and original exhausts included. FSH, MOT, new belts." "Much more sought after than the bog standard 998, this S looks the part with white tail unit and carbon Termignoni exhausts. Buy it. If you don't we will. 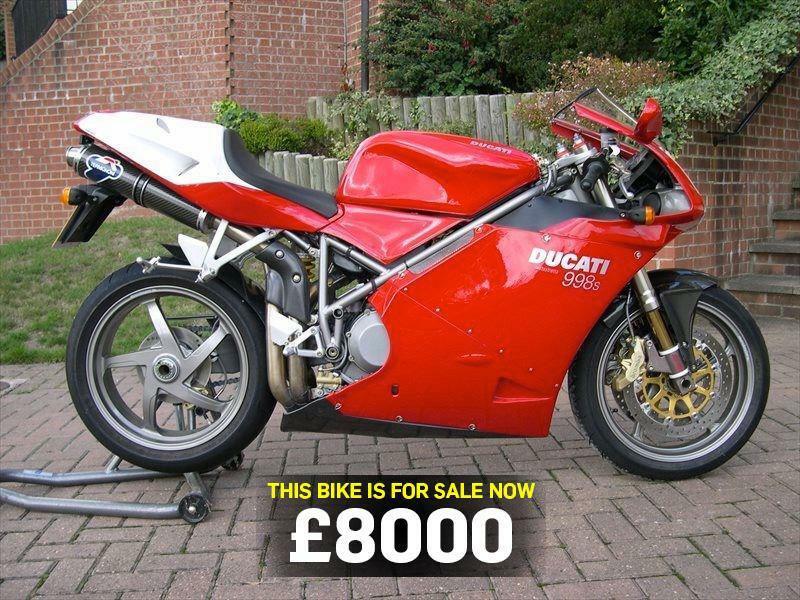 Seriously, though, this is a great-value S."
You can buy this bike here: Ducati 998S.